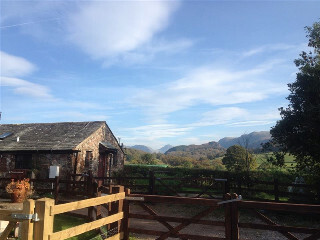 Set in magnificent Wasdale two cosy pet friendly cottages sleeping 3 and 4. Each with open plan kitchen / living / dining room and bath or shower room. £300 - £500 / week. This single storey cottage was (together with Todd cottage) once the farm�s milking parlour with rooms soaring up to the apex of the roof. 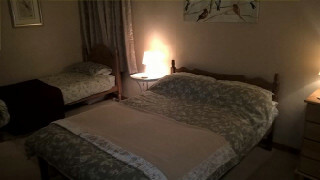 Gunn sleeps up to 2 in a double bedroom (a cot is also available). The living / dining / kitchen area has a TV and DVD player, electric oven, microwave and fridge. The bathroom / WC includes a bath with shower over. 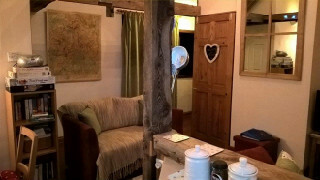 Todd cottage is of similar size to Gunn but sleeps 3 in a family room with a double and single beds. 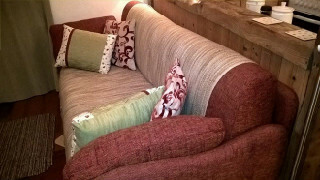 (A cot is also available). The living / dining / kitchen area has a TV with DVD player plus electric oven, microwave and fridge. Todd cottage has a shower room with WC. 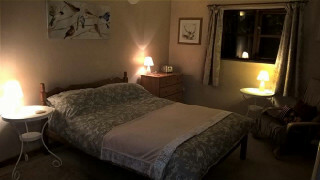 Both cottages have access to an on site laundry with washing machine and tumble dryer. The open fell leading to the Wastwater screes and Scafell range is a 15 minute walk, past the Bridge Inn, our local pub (300 yards), which serves a good range of bar and restaurant meals (and is children and dog friendly). 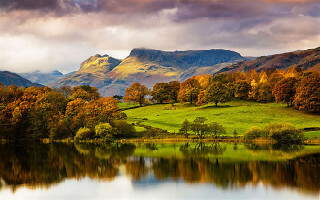 For the less energetic the area also abounds with low level walks through open countryside and woodland, alongside rivers and lakes and with a liberal sprinkling of country pubs. 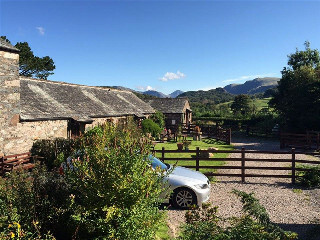 There is plenty of choice of other activities in the area including fishing, riding, golf, bird watching, mountain biking and swimming and we're close to the coast so ing your bucket and spade.